The newest R4 3DS / R4i 3DS Silver Edition - Now With Real Time Save And Our latest February 1, 2019 update adds Full Compatibility with even the newest Nintendo 2DS, Nintendo 3DS And 3DS XL and even the NEW Nintendo 3DS Systems v11.9.0 And the new Nintendo DSi 1.45 update! It's our BEST R4 3DS yet! 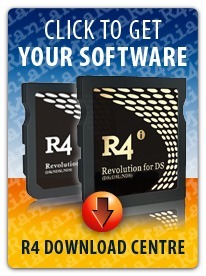 Only from R4 3DS .org This version of the R4 3DS is our best R4 3DS Card yet! Even better than our R4 3DS Red version. With real-time save and a secondary chip built in to make firmware updates and development much easier, it's the card that we can update almost instantly once we have a new OS update on the DSi and 3DS. It's also out very first card that works on the Nintendo 3DS v3.0.5 USA, Europe and Japan versions. While you could go and buy outdated cards from other stores, offering you full compatibility, but neglecting to mention that full compatibility only works up to a certain version of the 3DS OS, at R4 3DS, we work hard to bring you the best products, at amazing prices, with all of the updates for every one of the newest 3DS and DSI systems. You get all of the same features and functions of our R4 3DS red version, but this R4 3DS silver is our best R4 3DS! It brings the ability to save your game in any game, at any time, with the built-in real-time save functions. And of course, it has all of the same features as our original R4 3DS. You'll be up and running and playing the best games, homebrew applications, movies, mp3 music, and reading your ebooks and digital comics in no time with our amazing new R4 3DS Silver edition. If retro and classic games are more your thing, we've got that covered too! You can play your favorite NES, SNES, NeoGeo, TG16, C64 and Atari 2600 - and another dozen or so emulators - that will have you playing the best classic games, right on your brand new Nintendo 3DS system. All of the same features and functions that you've come to expect from our r4 cards are all included. With the fastest firmware updates and compatibility kernel releases, it's no wonder that more and more people are choosing our R4 cards over any other cards out there. Built-in REAL TIME SAVE - Save your spot in any game, any time, without the need to wait. Then when you're ready to continue, just load your Real-time save file, and you will continue your game from the exact spot you left off! Play DS, DSi Homebrew, games and applications! Read eBooks, digital comics, and more on your favorite handheld console. Supports the best emulators. Play NES, Snes, Turbo Grafx, Neo Geo, C64 and a dozen more of the greatest classic video game and computer systems! Includes all of the features of our regular R4 3DS - AND MUCH MORE! 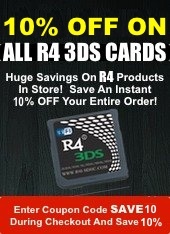 The R4 3DS Brings All Of The Very best Emulators to your Nintendo DS, DSi and Nintendo 3DS System. Check out the video below for the Neo Geo DS emulator, which allows you to play your favorite Neo Geo games on your Nintendo 3DS and Nintendo 3DS XL systems with our card. So good!! Just google how to set it up, follow instructions, and start putting your favorite games on!! I played mulitplayer with 3 others that did not have a cartridge (only works for games that support no cartridge multiplayer). This card is rad. All the games from Snes, gba, DS, and more. 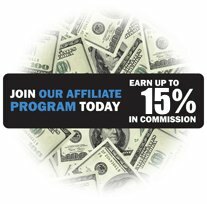 A fantastic product! Thank you R4 3DS!! Ordered on the buy 1 get 1 special right before Christmas and email to say they were gift. Packages arrived to my door on Dec 24. Good and fast shipping and everyone is happy with their gifts. I have some questions about emulators that I sent in email so I look forward to your reply. Thank you! It works just as advertised. The shipping ended up being horrendously slow, but the wait was well worth it. ANSWER: Shipment was held up by customs but was eventually cleared and released. Seems parcel was misplaced on their end. Thanks for letting us know you like the product! 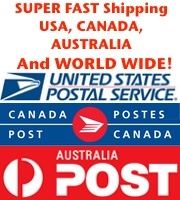 Answer: Yes, it seems the shipment was lost and we had to re-send a second parcel to the customer. Thank you so much for your business and we are glad you like the R4! Just got this and the kids love it. I bought this and I think it is amazing but I just noticed the Dual Core? Which one is better? This product is already perfect I can't imagine anything better than it! In conclusion, what is better? R4-3DS-RTS OR R4-3DS-DUALCORE? ANSWER: Both cards are equally good, but the R4 3DS RTS is the higher end model with Real Time Save Features built in. If you like classic gaming and retro games like the NES or Snes or even the Sega Mega Drive, then this is the card you have to get. I bought this with the intention of playing some of the homebrew games available online, and then I stumbled on some emulators for this thing. HOLY CRAP! It is an amazing card. I see dingoo systems and other retro consoles going for over $100.00, and this R4 basically lets you have like all of the old retro consoles and the games, so your 3DS is like the best emulator console available. Must have if you love emulators and classics. Going to try the Neo Geo Emulator next, which from what I see, works amazing. This is the absolute best card I have ever used, and I have used a lot of them, from the original R4 DS and the R4i SDHC and then now this. This is the best card of them all, and the real time save is amazing for those games that I want to save DURING game play. Updated My 3DS to V6.1.0 And My R4 3DS RTS Works Just Fine! I was so worried when I kept reading about what people were having to do just to get their cards to work on the 3DS 6.0.. so when I accidentally updated my 3ds xl, I figured I was either going to have to buy a new card, or I would have to cut traces on the mother board like others have had to do with other types of cards. I came back to this site, and saw they had a new firmware available for the 6.0... and then the 6.1.0 updates. I was super surprised, as most card makers had to make new cards to allow them to work, so people were out the money and had a card they couldn't use. I'm so glad I went with this site, and this card, instead of one of the other ones that's now telling people they have to buy a whole new card! Click the button below to add the R4 3DS RTS to your wish list.